For many people, their home represents their life accomplishments; this is especially true for individuals diagnosed with dementia or Alzheimer’s Disease and their caregivers. Most families want to keep their loved one at home for as long as possible so the person can be in familiar surroundings. Therefore, it is important to create a safe environment for your loved one to live in while they can still remain at home. When caring for a senior with Alzheimer’s or memory problems in the home it is important to avoid accidents, minimize injuries in the event of an accident, and remove “triggers” that could cause agitation or challenging behaviors. The following are suggestions for safe proofing your home. It is important to accommodate the needs of the caregiver as well as the senior with dementia. There are no fixed rules. Each person’s home is different, just like each person with dementia or Alzheimer’s related memory loss. There will be unique behaviors or characteristics that require continual reassessment. 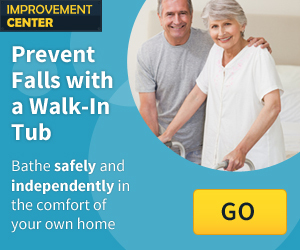 Be sure to walk throughout the home as the disease progresses to monitor it for safety issues that may arise. Þ Simplify—As Alzheimer’s Disease progresses, it becomes more difficult for seniors to process environmental information. The simpler things are in the home, the fewer environmental inputs there are to interpret and distract the person. Þ Create walking paths throughout the home—Paths should be as straight and direct as possible. For example, a path from the kitchen to the dining room will need to be free of furniture and decorative items (ALL THROW RUGS SHOULD BE REMOVED). Þ Reduce clutter—Open spaces make both access and decision making easier, while decreasing the potential for over-stimulation. Þ Utilize labels—Labeling areas and items in the home may provide visual cues to maintain the senior’s independence within the household. For example, attaching pictures of silverware outside the utensil drawer or hanging a “BATHROOM” sign on the bathroom door. It is important to use symbols and/or the language the person can relate to at their current level of function. Therefore, it may be necessary to change the kind of labels you use as the cognitive level changes. Þ Danger Zone — This is an area that should be off-limits to your loved one. This zone includes any places, objects or features that may be potentially dangerous. These types of rooms should be secured and can be used to store breakables, tools, chemicals, or any other items deemed unsafe for seniors with dementia. Doors leading to these rooms should be kept locked and alarmed if possible. If you cannot lock these areas, then removing dangerous items and/or disabling potentially dangerous applications and machinery is a must. Þ Respite Zone — This space should be considered a sanctuary for the caregiver. This is a place where the caregiver can relax undisturbed and conduct personal affairs. Having a place to get away and have time alone can greatly reduce burnout and stress. Þ Safe Zone — This zone should include everything else in the house not identified as a danger or respite zone. It is preferable to safety-proof a room than declare it off limits. As much of the house as possible should remain available to the senior with Alzheimer’s to wander, hide things, rummage and exhibit the behaviors that are common with the disease. This zone should be free from agitating or harmful situations. Lighting — Reducing shadows and dark areas in the home can help eliminate sights that may be misinterpreted or trigger confusion. Ways to enhance lighting include adding night-lights to hallways, pathways and bathrooms, and replacing light bulbs in lamps with brighter wattages. Adding shelving units behind the toilet to display toilet paper, clean towels, Kleenex and other items (shelving must be able to double as a grab bar). Having these items displayed and easily available will eliminate confusion. Safety proof or relocate wall hooks, glass shelves, throw rugs, mouthwash, laxatives, sleeping aides, cough syrup, and other medications (prescription and over the counter). Remove all electrical appliances that can be dropped in water: electric razors, lighted portable mirrors, space heaters, irons, electric rollers, hairdryers, small radios or TV’s. Identify or mark hot and cold faucets with large letters. Lower household hot water temperature to 105 – 110 degrees when practical. Make the room warmer – install a heating lamp in the ceiling with a timer (space heaters are never advised). Many people with dementia stop using the bathroom (because it seems too cold) without being able to verbalize this discomfort. Install firmly mounted grab bars along the wall of the bath/shower and toilet. Consider shower seats and adding non-slip floor surfaces to wet areas. Consider eliminating exhaust fans that whirl or make noise, as this may cause further confusion and/or irritation. Remove products, appliances or other items that may be dangerous and accessible such as stove knobs, oven door handles, and chemicals. Remove all spoiled food from the refrigerator and check expiration dates on all products. Remove any medications stored in the refrigerator or install a lock on the door. Consider installing a childproof lock on the oven to prevent it from being turned on and forgotten, as well as, being used to store or hide household items. Use the fuse box or install timers to control electrical outlets for stoves, coffee makers and other appliances. Windows & Doors—Some people with Alzheimer’s dementia will never wander; however, most do. It is important to take the necessary precautions before your loved one exhibits this behavior to ensure their maximum safety. Make “Safe Zone” doors easy to use. Door levers are easier to operate than round, smooth, hard to grip knobs. Make sliding glass doors as visible as possible. Install decals at the person’s eye level to prevent the person from walking into the glass door. Install devices on your windows and sliding glass doors that will limit how far they can be opened. Simple clamps or pins can easily be installed. Reduce glare or reflections from windows that can be misunderstood by your loved one. Preparing your home to care for a senior with Alzheimer’s Disease or any dementia related disorder is difficult. It is important to plan ahead rather than react to a crisis. Careful planning, foresight, knowledge, and patience is needed to safe proof your home. We are here to help. Reference: The Complete Guide to Alzheimer’s Proofing Your Home, Mark L. Warner, Purdue University Press, 1998. For more information regarding safe guarding your home or any other Alzheimer’s or dementia related care issues or concerns, please contact us at Barton House at (877) 222-7866.